Product Consist : 2 Diwali Diyas Diwali Greeting Card Celebration Chocolate Pack (Weight : 118Gms) 5 Types of Mix Diwali Fire Crackers (Worth Rs. 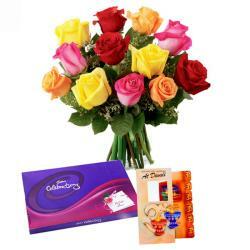 300/-) Bouquet of 12 Pink Roses with Lots of Green white fillers. 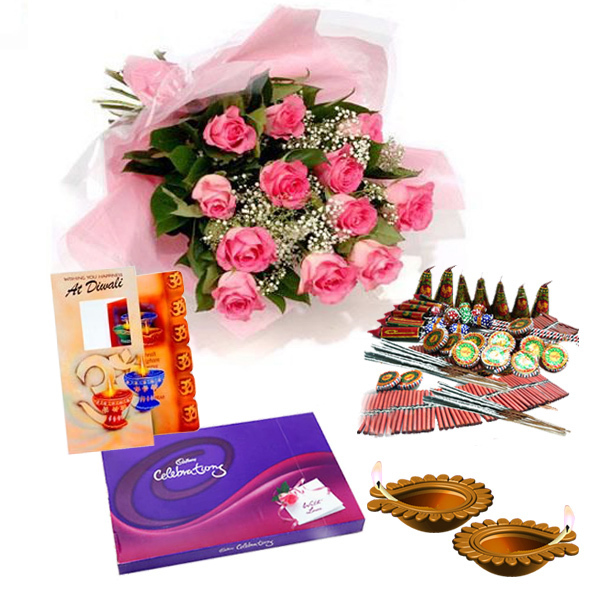 Send this Special Diwali Gift hamper with your heartiest and warmest wishes to your dear ones.This diwali gift hamper includes the beautiful bouquet of pink roses to anyone dear to you and make them feel special Cadbury Celebrations Chocolate Pack to Celebrate the occasion with love and happiness everywhere most exciting part of this gift is assorted firecrackers. 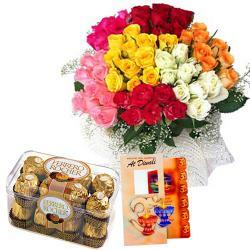 This wonderful gift is bound to enthrall your loved ones and make their celebrations a grand and memorable affair. So go ahead and order it now. 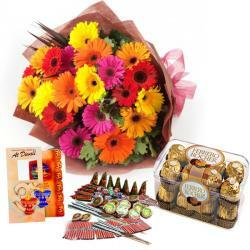 Product Includes: 2 Diwali Diyas Diwali Greeting Card Celebration Chocolate Pack (Weight : 118 Gms) 5 Types of Mix Diwali Fire Crackers (Worth Rs. 300/-) Bouquet of 12 Pink Roses with Lots of Green white fillers.